Building on their relationship with Galliard Homes, Sound Division was asked to provide technical production support for the 21st Birthday celebrations at the Millennium Hotel in Grosvenor Square which took place on 3rd October 2013. 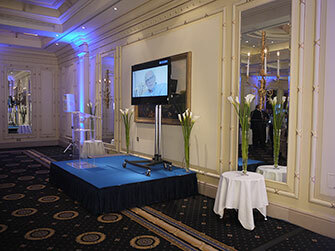 Staging, a sleek Perspex lectern and a full PA system were set up for a warm welcoming speech by Stephen Conway, the Chairman and CEO of Galliard Homes. 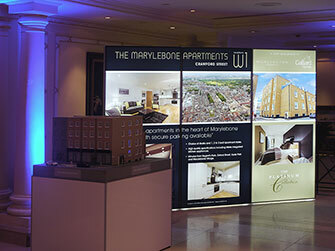 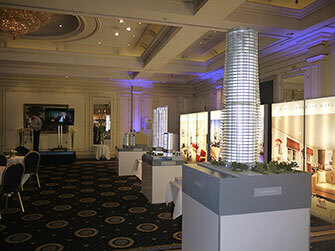 Following Stephen's speech, canapés and drinks were served during the evening while guest had the opportunity to look at a spectacular collection of scale models of all the Galliard developments from the last twenty-one years. 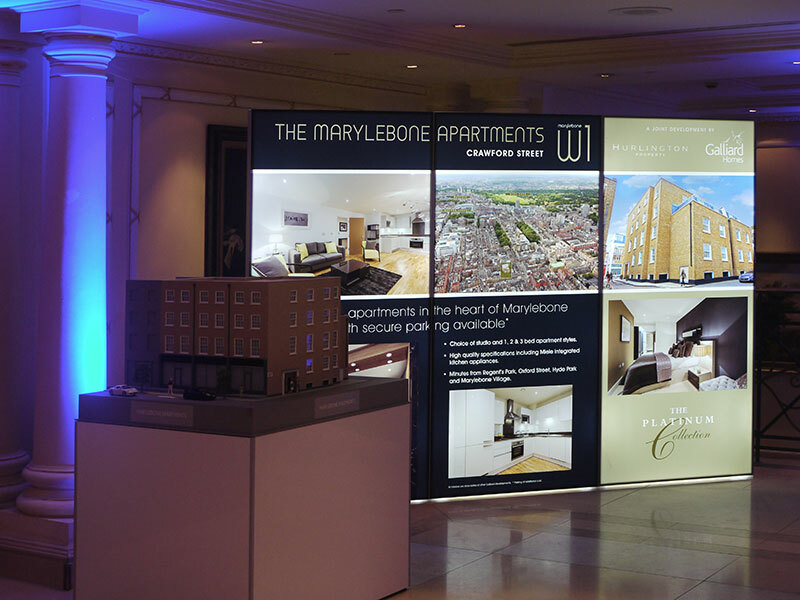 To accompany the model display, a magnificent photographic wall chart documented the history and growth of the company on a timeline along the length of the room. 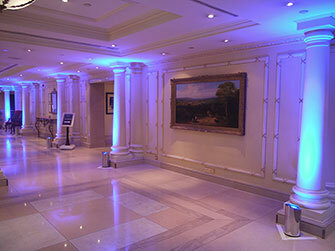 The function room as well as the entrance foyer was beautifully lit using GDS wireless LED uplighters set to Galliard’s house colour, subtly reinforcing the corporate branding throughout the venue.